Although I have never lived in the British Virgin Islands (BVI), both of my parents are native BVIslanders and grew up there – my father in Tortola and my mother in Anegada. And, the vast majority of my family still live in the BVI. It has been incredibly challenging watching the videos and seeing images of the sites I so recently saw damaged or destroyed beyond recognition. But even more disturbing were hearing the stories from my families and friends as they shared their experiences in the storms, the fear they felt in the moment, the sense of emptiness and the longing for normalcy, and the lack of control, and the frustration of not knowing what to do or even where to start. The rebuilding and recovery process in the BVI will take several years. While the immediate needs are many, it is important not to lose sight of the short- and long-term mental health needs of all those affected by the traumatic experiences of Hurricanes Irma and Maria. Trauma is defined as an emotional response to any event that is extremely upsetting to the point that it overwhelms your ability to cope. Some people also define trauma as an overwhelming stressor. Natural disasters, such as hurricanes and floods, are indeed traumatic events, especially because of their widespread impact on the community and their long-lasting nature. You are not just coping with the experience of a hurricane, but also all of the destruction left behind in its wake. You will likely be impacted by the disaster aftermath and recovery for months or even years. This disrupts your sense of normalcy and security. Common responses to trauma include emotional symptoms such as shock, fear, sadness, and anger. Additionally, people can experience stress-related physical symptoms like upset stomach, difficulty sleeping, pounding heart and rapid breathing, severe headaches (particularly if thinking about the event), and worsening of existing health problems. It is not unusual to feel more irritable and short-tempered. This may put a strain on your relationships with family and friends. Additionally, you may be more sensitive to your environment, especially anything that reminds you of the storms. The aforementioned symptoms are common to both children and adults, but children may also express worries about the future, display disruptive behaviours (examples: temper tantrums, agitation, hyperactivity), and be more clingy than usual out of increased concern for the safety of family and friends. Everyone experiences traumatic events differently. Some may only experience a few minor symptoms while others have symptoms that are severe and debilitating. Your individual trauma response is influenced by your perception of the traumatic event (for instance, the extent to which you believed your life was in danger) and other individual/personal vulnerability factors like previous trauma experiences or history of anxiety/depression. That said, all of the symptoms described above, as well as any other reactions to the experience, are normal. Understanding the emotional, physical, and social responses to trauma will help you understand your own behavior, as well as the behaviors of others, so you can respond accordingly. -Asking for support from people who care about you and will listen and empathize with your experience. Connecting with others in your community will help you realize that you are not alone in your reactions and experiences. And, it is healthy to share your feelings as opposed to keeping them bottled inside. -Respecting people’s needs to spend time alone. Many people have been displaced and forced to stay with family and friends or evacuated to shelters. Being around so many people while coping with a variety of strong emotions can be overwhelming. Though there is value in sharing the experience, you may also need time alone to process these emotions. -Engaging in healthy behaviors to enhance your ability to cope with excessive stress. This includes making sure you are eating at regular intervals and allowing time for sleep and rest so you do not put further strain on your physical and mental capabilities. -Finding ways to express yourself when you are ready. Children experiencing trauma benefit from these coping strategies, but their overall recovery is influenced by how parents and other caregivers are coping and responding to the situation. They are looking to the adults in their lives to help them make sense of the situation and to re-establish their sense of safety and security. It is important to acknowledge and normalize their feelings, encourage them to talk about their feelings and listen without judgment, and address any questions they have about the event. To the extent possible, remain (or at least appear) calm and reassure them that the adults in their life will take care of them and help the community rebuild. Recovering from trauma is a gradual process. For most, the reactions to trauma are temporary and will lessen over time. But, for others, these symptoms may persist or worsen to the point where they have difficulty functioning in their everyday lives. If you or someone you know are turning to alcohol or drugs to cope, completely withdrawing from interpersonal relationships, reporting recurrent nightmares, persistent sleep disturbances (difficulty falling or staying asleep), or expressing suicidal thoughts, a referral to a mental health professional may be necessary. In addition to using short-term coping strategies, we should also consider the supports that will be needed in the long-term. This primarily involves mobilizing trained mental health professionals from across the territory to provide supportive counseling in shelters, churches, schools, community centers, and other hubs of community gathering. BVIslanders are a resilient people. But, we cannot continue to exert ourselves without taking the time and energy to rebuild ourselves to continue developing the resiliency and mental fortitude needed to rebuild and recover. You cannot fill from an empty vessel. As we rebuild the BVI, it is important to continue to invest in the Territory’s most valuable resource, its people. 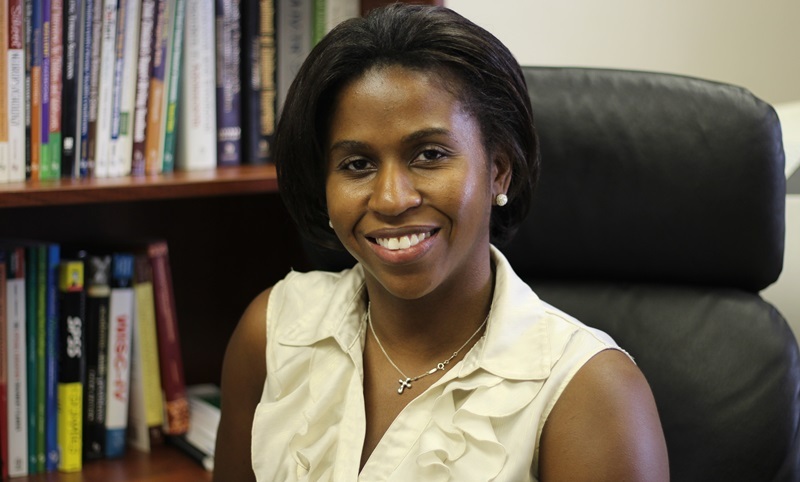 Dr. Celeste Malone is a school psychologist by training and is an assistant professor of school psychology at Howard University in Washington, DC.